The world’s most elite nanny training school has unveiled this year’s new recruits – including its largest ever intake of MEN. 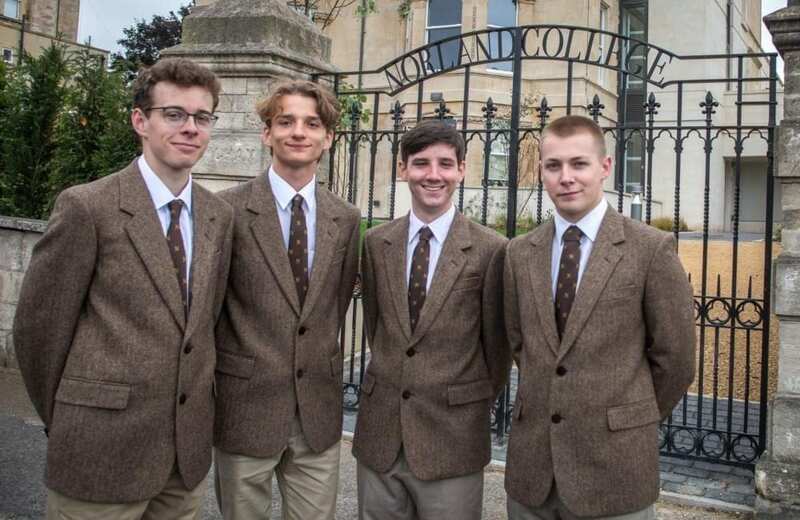 Graduates from Norland College go on to look after the children of some of the richest people in the world – including celebrities and royalty. Prince George has a Norland Nanny – Maria Borrallo who trained at the exclusive academy in Bath, Somerset. This year’s intake of ‘Mary Poppins’ includes four men – the highest number of male recruits in its history dating back to 1892. Staff say 2017 is also the largest in the college’s 125-year history with 103 students starting the coveted BA in Early Years Development and Learning. One of the lads, Connor Beckles, 18, from Bath, said: “I’ve worked with kids before and it’s something I enjoy. “However, in a weird way I’m also a big kid myself so if I’m enjoying the activities then hopefully the children will as well. “Living in Bath I’ve been aware of Norland for quite a while. “They obviously have quite a big presence with the uniform and the reputation that they uphold. “However, it’s not something that I seriously considered until very recently. 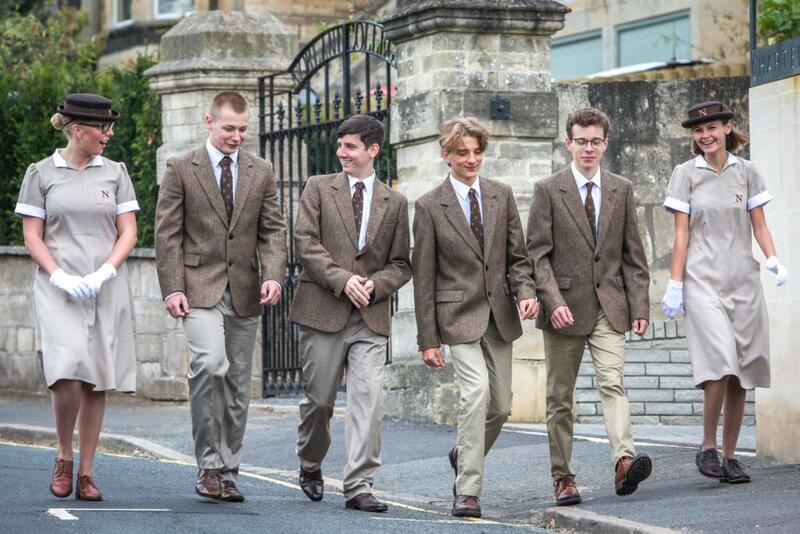 The 2017 intake of Norland nannies are welcomed to the famous school which has had its largest amount of male students join the course. Gregory Ridley, 19, from Warrington, said: ‘The opportunities that Norland gives you are above and beyond any other institute, certainly in this country if not the world. Nathaniel Fabien, 18, from Romford, said: “I became a Norland Nanny because if you’re good at something and you enjoy something never do it for free. “Norland is really prestigious and gives the best care and the best education for looking after children. 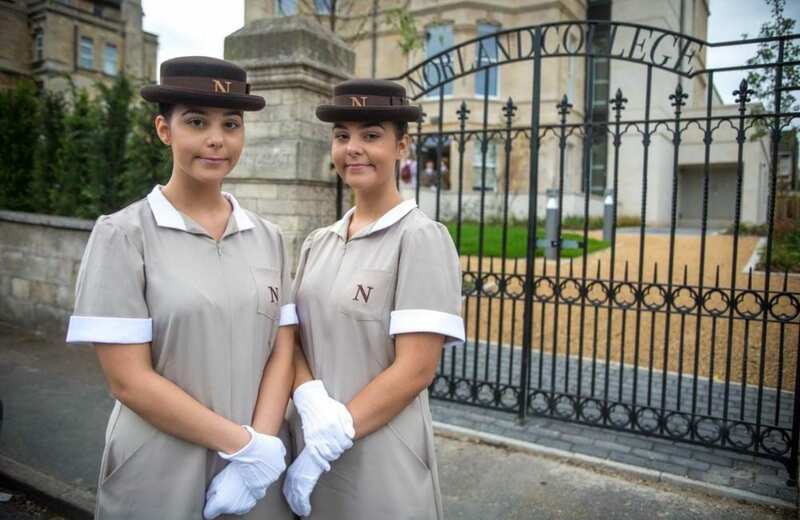 Identical twins Abby and Lauren Barns who are new first year students at Norland nanny school. Jordan Murray, 19, from Doncaster, said: “I wanted to become a Norland Nanny mainly because I enjoy working with children. Also making history at the college were the first identical twins to enrol – 18-year-old Lauren and Abby Barnes from Eastleigh, Hampshire. The college, which celebrates its 125th anniversary this year, has more than 3,500 Twitter followers and is known for its students’ iconic uniforms. 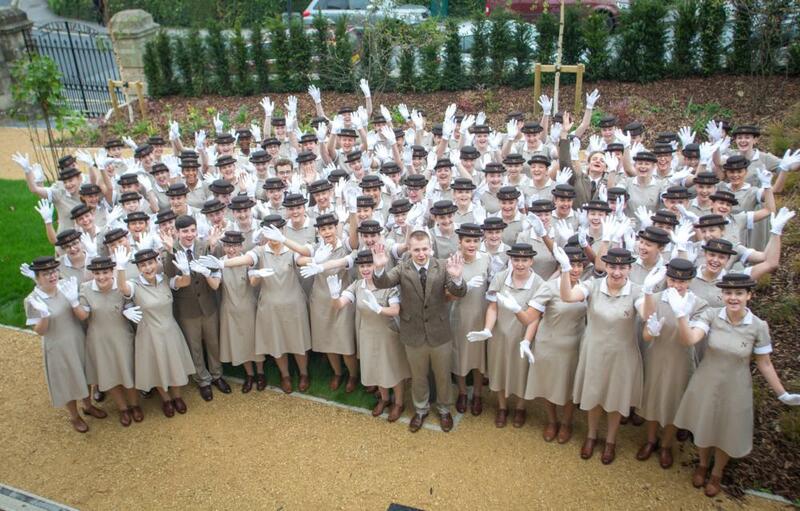 Women wear A-line dresses and white gloves while the men’s uniform is a brown tweed jacket and beige chinos. 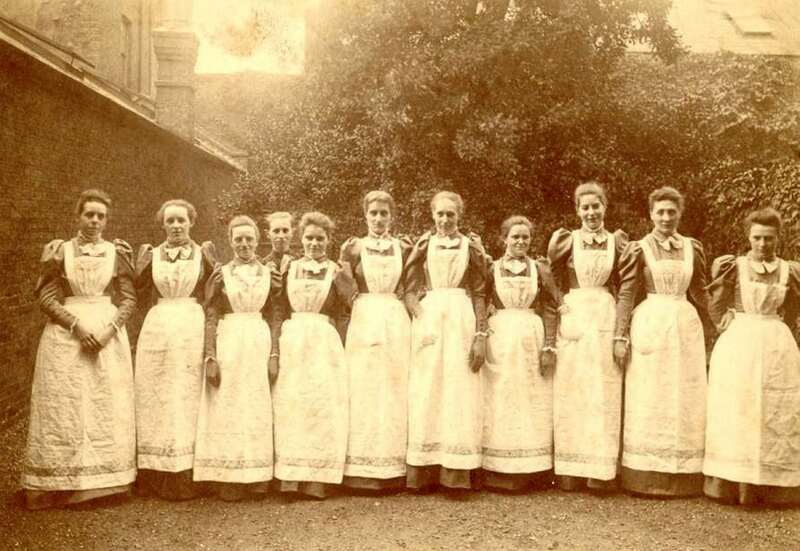 The first Norland Nurses in 1892. Brown boater hats worn by girls and the brown tie for boys are inscribed with a gold ‘N’ for ‘Norland’. Dr Janet Rose, Principal of Norland College said: “It’s a truly historic year for Norland College. The college has campaigned to sign up students from a wider range of backgrounds and 20% of this year’s intake came straight from employment or gap years. Students often earn about £26,000 after leaving the college, which was founded by Emily Ward in 1892.